Have you ever wondered how engravers achieve perfect 360 degree engravings like this? The secret is to wrap your tumbler with blue painters tape first. You can run a test run to see if the pattern will wrap correctly. This way you can preserve your Yeti. Watch Travis in our video below to see it in action. 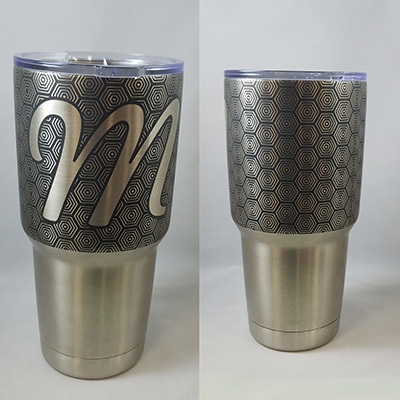 If you're in the market for an engraver, contact us today. We're offering a free rotary with select lasers until July 31 2018!